Travelling Connect is a nifty mileage earning opportunity for – primarily – the travelling business person who uses their phone heavily outside the UK. It is, if nothing else, genius in its simplicity. All you need to do is register your mobile number and then forget about it. If you ever make a call over a participating mobile network whilst travelling, your points will be sent over automatically. Travelling Connect contacted members this week to tell them that Hilton Honors will cease to be a partner from 1st July. The good news is that there are still a wide range of partners you can collect with. British Airways and Virgin Atlantic do not take part, but many other airlines do, including American, Etihad, Qatar Airways, Air France / KLM, Singapore Airlines and MANY others. Two hotel schemes are also partners – Marriott Rewards and IHG Rewards Club. You can see the full list here. You then have two options. You can either forget about it entirely, and leave it to chance as to whether your phone picks up any of the participating networks whilst travelling. 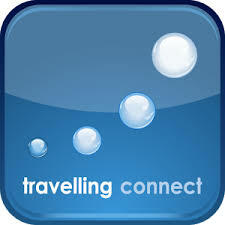 Alternatively, you can download the Travelling Connect app and use it to look up participating networks. The list is also on their website. You can then manually alter the carrier used by your mobile device. The earnings rate varies by country and by programme. Taking India as an example, you’d get – when using Vodafone – 0.5 American miles, 2 IHG points, 2 Marriott points etc per minute. None of these earnings rates are going to be life-changing, but as you don’t need to do much I don’t think that’s an issue! It takes a couple of months for the points to make their way into your account, but for such a small amount I doubt you’d be in a rush anyway. Since I doubt that the company can match your name to your mobile phone, it may be possible to register mobile numbers belonging to different family members under one account. The company allows up to four mobile numbers to be linked to every profile. One benefit of using Travelling Connect is that it can stop your airline miles from expiring. American Airlines requires some account activity every 18 months, for example. Even earning the odd mile or two via Travelling Connect is enough to reset the expiry date. Get up to 90,000 Avios in a VERY generous (or crazy) Iberia promo - but is there a catch? It even works if you’re in a country where you have inclusive or free minutes, which is excellent! Does it have to be on roaming? If I have a SIM card in one of the countries listed, will I earn points? It goes without saying that these days you can usually pick up a “tourist” sim that give you substantial data and minutes in the country you are visiting. In vietnam i paid $10 for 12gb of data good for 1 month. All setup on my phone before leaving the airport. Very similar across other countries in Asia. I have an Amex Travel booking on Qatar Airways for flights to Asia later in the year. Just realised that my daughter might have her secondary school entrance exam (second round, hopefully she will pass first). Is there anyway to cancel or delay our travel. It was booked using Amex Travel (£200 off £600 spend – Total spend over £3k) and on my Platinum card which is still live. As a worse case scenario can I use Amex Travel Insurance? Roger, it should tell you what the conditions are on the fare rules. We have ex-Oslo flights to Australia on Qatar for later this year but the fee to change is not much less than the cost of the flights. You may have a better situation. I’m not an insurance expert but I doubt insurance would cover you for that situation. Rog just step up your preparation for her first exam and the problem is solved. They’re really not that difficult to get through if your kid is of average intelligence and well prepared. Amex Travel Insurance via Plat (Axa) has “repeat of exams” as a reason amongst a list others for cancelation/amendment of travel plans. Try a dummy claim online to see your options? I need to give it some more thinking before taking any actions. For dummy claim, It seems I need to create new AXA online account. You will need to create an account if you have to make a claim anyway. I have made 4 claims this year due to an ankle break and one was for a Amex £200 off deal with Qatar like you. Qatar have a decent cancellation/refund policy, full amount less $900 (two persons) refunded. Amex insurance covered the shortfall. (less £50 excess) Very smooth process once you have the documents required. I’m on EE and currently roaming using my mobile in Russia. For some reason I’m getting 20GB free data monthly over here, even though their website suggests I should be paying for an add-on at £5 per 50MB. Your account will get hit with the Roaming charges at some stage. Also, bringing the discussion back to travelling connect but staying with Russia: I remember for definite that Russia WAS on the list for TC (it was actually the reason why I joined the scheme a few years ago) but it’s no longer the case. Dropped conveniently before the World Cup?